Global Attain Advancement, LLC (GAA) announces the 2nd Annual Solar Business Festival to be held in Austin, Texas on Wednesday, November 29 and Thursday, November 30, 2017 at the Hilton Austin, Hotel – Downtown. The Solar Business Festival (SBF) is the leading solar conference and trade show that focuses on Texas market and provides a significant business platform for knowledge sharing, connectivity, marketing, and sales. 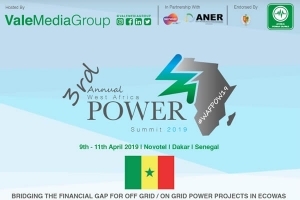 The event brings together manufacturers & suppliers, distributors, service providers, installers and integrators, energy consumers & prosumers, project developers/EPC contractors, investors and analysts, system integrators, government officials & policy makers, utilities, research institutes, architects, and PV equipment & materials companies. SBF conference segment feature a wide variety of sessions on, microgrids & energy storage, project financing, sustainable buildings, smart grids,solar initiatives & innovations, utility integration, community solar projects, policies, incentives and goals, market growth opportunities, regulatory framework, international solar market opportunities/challenges, sustainable farming, and more. SBF trade show segment is a B2B, B2C, & B2G format in an exhibition hall which focuses on connecting exhibitors with potential clients, business networking, and marketing. Solar Business Festival 2017 has evolved into 2 full days of activities including over 8 co-located events, which will make the show more valuable. Texas Solar Pioneers Awards Ceremony designed to celebrate and dinner to honor the movers and shakers in the Texas Solar Industry. 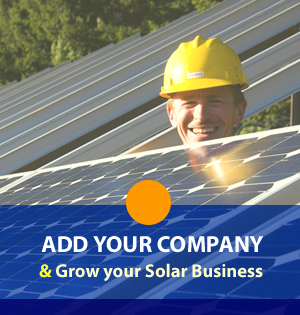 Solar Energy Platinum Club is an exclusive membership club for solar energy executives, investors, and other influential and major players in the solar industry. The club provides a private environment for industry leaders to strengthen existing connections and forge new ones. Onsite at SBF 2017, members of the club will have access to an exclusive lounge area to enjoy and relax in. The lounge area will provide a discreet setting that will allow industry decision-makers to exchange best practice and explore business opportunities. The club also provides members with an exclusive VIP experience that will offer customized assistance to help members navigate our exhibitions efficiently, connect with the right exhibitors who are offering project-relevant products and services, and it will also facilitate relationship building between members by providing valuable networking opportunities. Members will receive complimentary passes to enjoy the full conference and expo at SBF 2017 with priority access (Platinum Club badge to be recognized by exhibitors and attendees as an exclusive VIP hosted guest), 2 complimentary drink tickets for the exhibition reception, full access to all co-located events, and full access to the Texas Solar Pioneers Awards Ceremony 2017. Membership is valid for 12 months, and Member status extends across the other solar events organized by GAA. Applicants must be accredited investors or must be working in the renewable energy industry and must possess a job title that is C-Suite, SVP or above. Please note that job titles below this level, will not be accepted. Contact us at [email protected] for more information. For more information visit the event’s website. To register online click here. Source: Press Release by Global Attain Advancement.